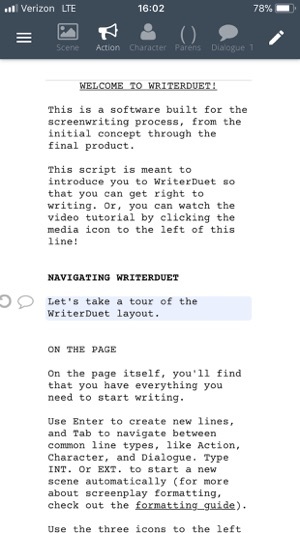 WriterDuet is the new standard for screenwriting. It combines the power of cloud-based word processing with the necessity for industry-standard, secure, and intuitive screenwriting software. 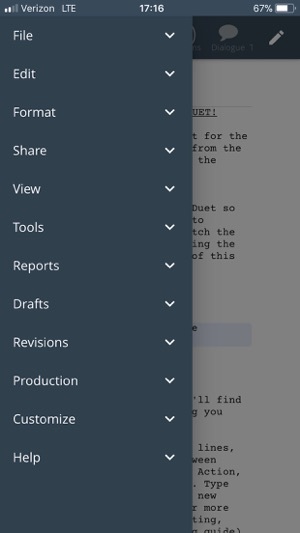 "WriterDuet combines instinct and user-friendliness for a unique and exhilarating way for writers to collaborate, whether in real-time or in non-synchronized work. It has features that are vital for teamwork in scriptwriting. It's a meticulously-created gem, and a must-have for collaborations"
The one pro here is that the UX and UI are almost perfectly adapted to the desktop version - or, to be more clear, they would be if they worked properly. Edit: I realize that the app makers are not a charity and they’re looking for revenue. And being a free member, I almost feel like I shouldn’t be complaining. But I’m not in a position to add another subscription right now and I sure wouldn’t pay for an app that barely works. I hope it doesn’t work better for paid users than unpaid. But I’m sure more people would subscribe if the app worked properly and users didn’t need to constantly restart the app and/or their phones in the futile hope it will make the app work. This app is pretty new so maybe Im just an early adopter... but after a week of working with the desktop version I was sold. Upgraded to Pro for one year, plan to go lifetime if it becomes my go to app for writing over fdx which at this point i think it will. Communication. Multiple modes for secure messaging, sharing notes, integrating external links for references or research, it all works. Collaboration. I like how it presents any changes made by my collaborator to me in red then lets them fade to black so they integrate into the whole. Thats just one example of how it helps make the collaboration process smoother. Class. From the tone if the developer's emails to the look of the UI, it feels like you're dealing with talented professionals. Well done and please keep up the good work! I'm a lifetime pro member and have been for about a year and I still can't believe the depth and quality of this software even after more than a year of using the desktop version. Everything just makes sense and the feature set is richer and more consistent and dependable than FD or MovieMagic, which I used to think got a bad rap simply for not being called Final Draft. But this blows that out of the water too, both the desktop of MM, and the Final Draft desktop software and now their app as well (which they charge you separately for!). But it makes no difference anymore, to me this is the only game in town. 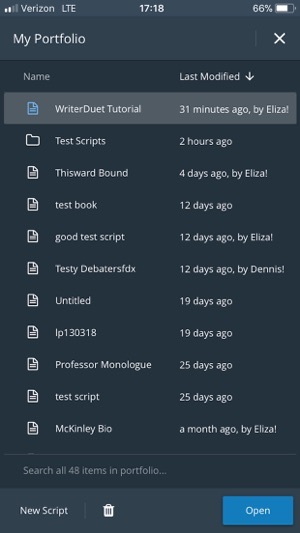 The support is second to none (once thought I lost something and they were on it immediately), and the probably the best thing I can say is that when you need the software and more complex features, it's all there, and when you don't need them, the software gets out of the way so you can simply write.